A man has been arrested on suspicion of possession of Class A and B drugs and handling stolen goods after a raid in Star Road. The warrant was executed by Peterborough’s Community Action Team this morning (Tuesday). A 35-year-old man, of no fixed address, was arrested. Sergeant Jason Hancock said: “This warrant today came about because of intelligence received from members of the public which we would like to thank them for. 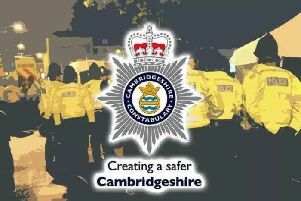 Anyone with information about crime is encouraged to report online at www.cambs.police.uk.